What is a microwedding and why am I talking about it on my photography blog? Why did the term “microwedding” begin trending after the New York Times published an article about it last year? Well, bear with me and let me explain. If you live in the San Francisco Bay Area, you know the story: The cost of living is crazy high. Scarce housing, astronomical home prices, long commutes. 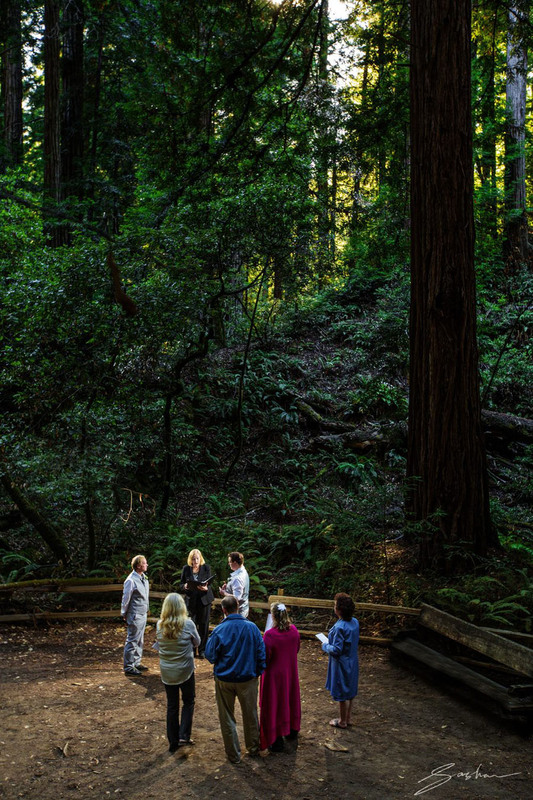 So, in this environment, how the heck can you reasonably plan a wedding? Perhaps you’re a millennial couple that’s just planning on starting your lives together. Maybe you’ve been married before, and you’ve got existing families to unite. Let’s turn to one of the most authoritative wedding resources, The Knot, and their 2017 wedding study. The average cost of planning a wedding in the United States was $33,391 (excluding the honeymoon). California is always much higher than the national average. 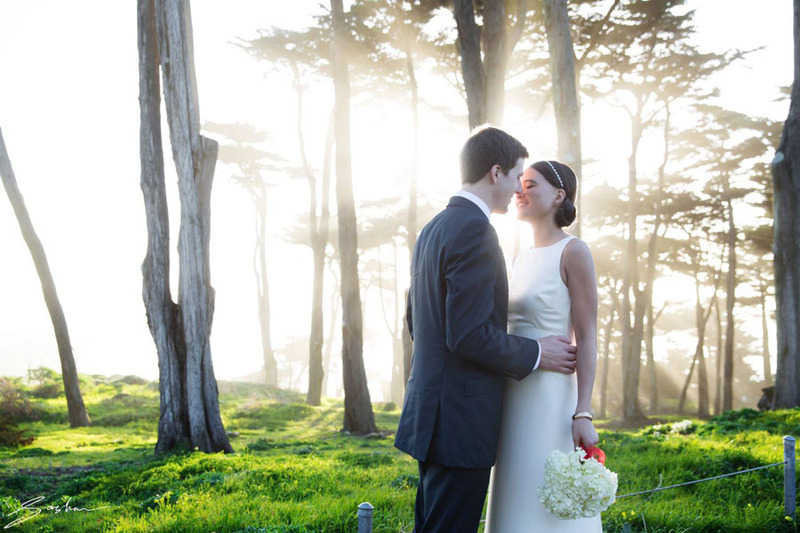 The cost of a wedding in the San Francisco Bay Area was almost $40,000. With the cost of living being what it is, mountains of student debt, and the memory of the recent recession still fresh in their minds, many millennials are dedicating themselves to more frugal living. They are discovering that frugality is the key to long term financial security and eventual financial independence. Inspired by frugal heroes like The Frugalwoods, Mr. Money Moustache and Marie Kondo (the guru of getting rid of stuff), and movements like FIRE (Financial Independence Retire Early), people are turning their backs on consumer culture in favor of emotional fulfillment and financial freedom. Some people are fortunate to have the means (or families with means) to pay for the wedding. But for most people, as the saying and the book go, it’s “Your Money or Your Life”. For many couples, the choice is clear. Plunk down $40K on a one-day wedding, or use it instead to travel the world for a year, invest in a business, or put it towards a downpayment on a home. So, what do you do when you still want to hold a memorable event to mark the beginning of your lives together? It’s still important for most people to proclaim their commitment to one another, and to their communities. 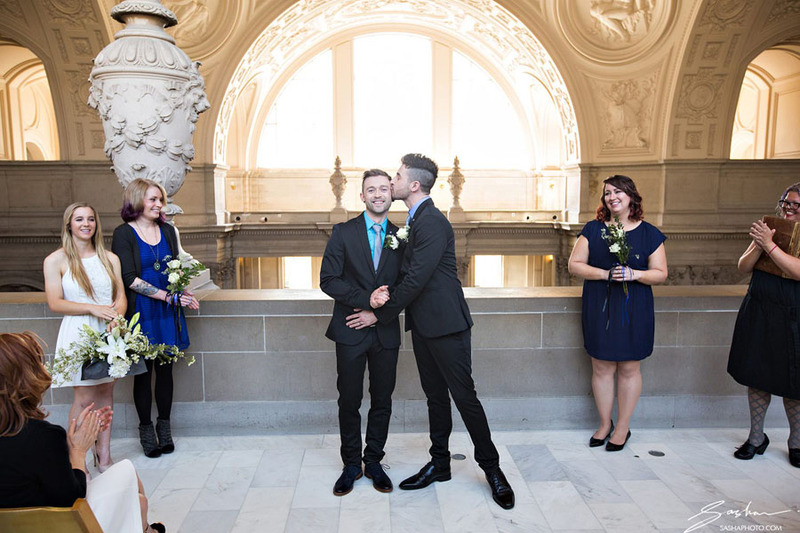 Enter the San Francisco City Hall wedding. 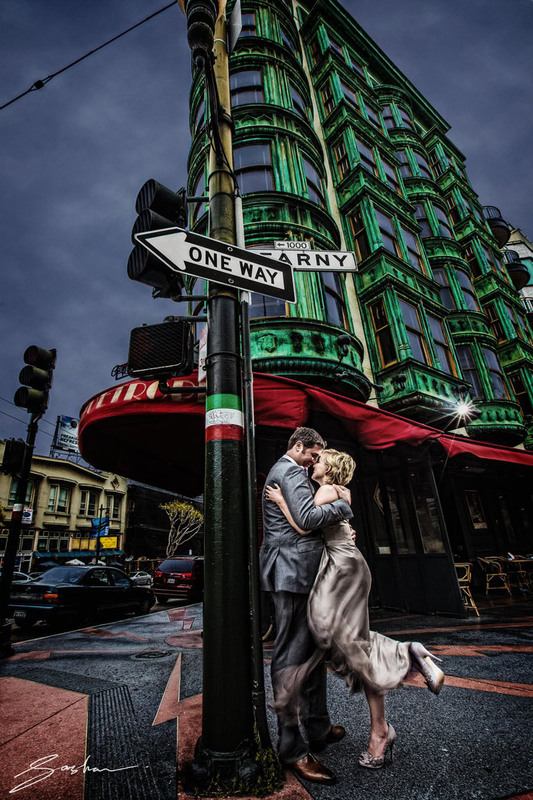 There’s a reason why so many couples gravitate to this gorgeous, historic building in the heart of San Francisco. There are very few places that offer the opportunity to hold a formal ceremony, surrounded by iconic architecture. For a fraction of the cost ($1,000) of a full day venue rental, you can have either a Fourth Floor City Hall Wedding, or a Mayor’s Balcony Wedding. 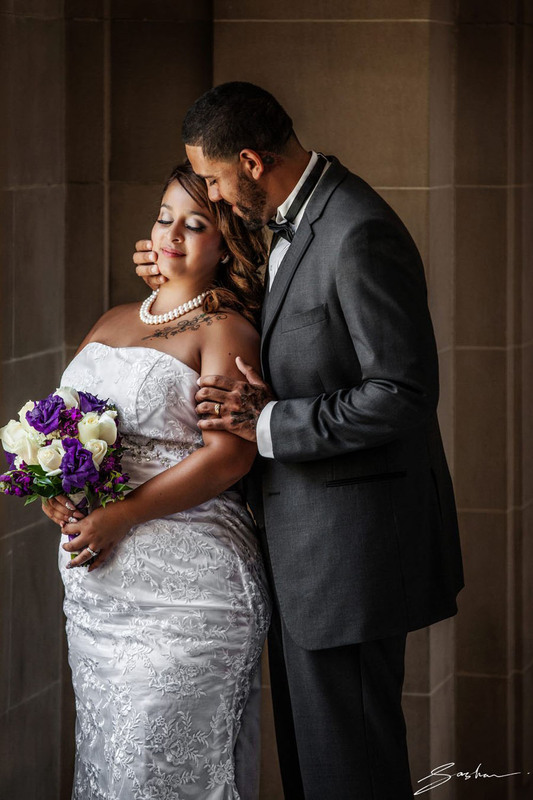 You can tack on a few hundred dollars if you hire a private officiant, or you can be even more frugal and have a friend or family member ordained by the Universal Life Church. After your 1-hour ceremony spot, you are free to take creative photographs all around the building, and elsewhere in San Francisco. Popular destinations beyond City Hall include Baker Beach, Palace of Fine Arts, Golden Gate Bridge, Mission Murals, Potrero Hill city views, North Beach, Golden Gate Park. 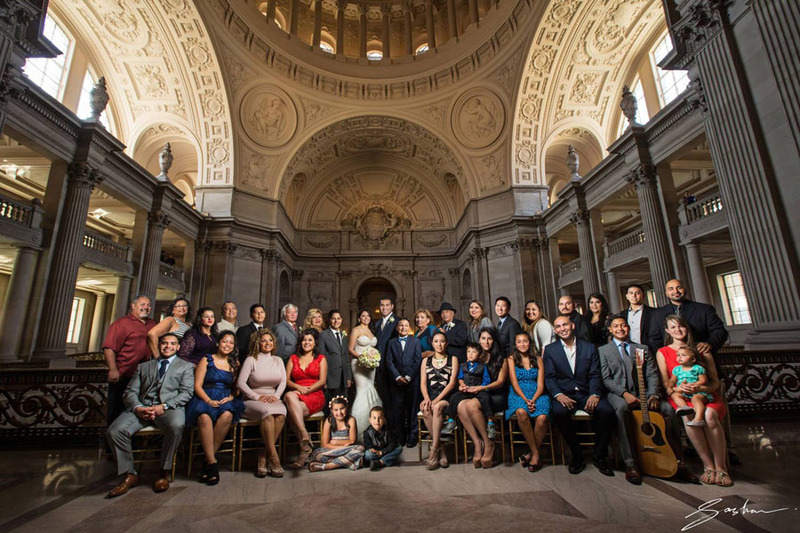 For couples simply looking to elope, or to hold a very small ceremony with just a half dozen guests, City Hall offers the standard civil ceremony for a tiny investment. The ceremony is quick and official, and you’ve got to put up with some bureaucracy, but it’s an unbeatable deal. The other nice thing about City Hall is that you can keep your wedding outfits sleek and streamlined. You don’t necessarily have to get the BIG wedding dress. At City Hall – less is more. There are other options to hold a ceremony beyond City Hall. 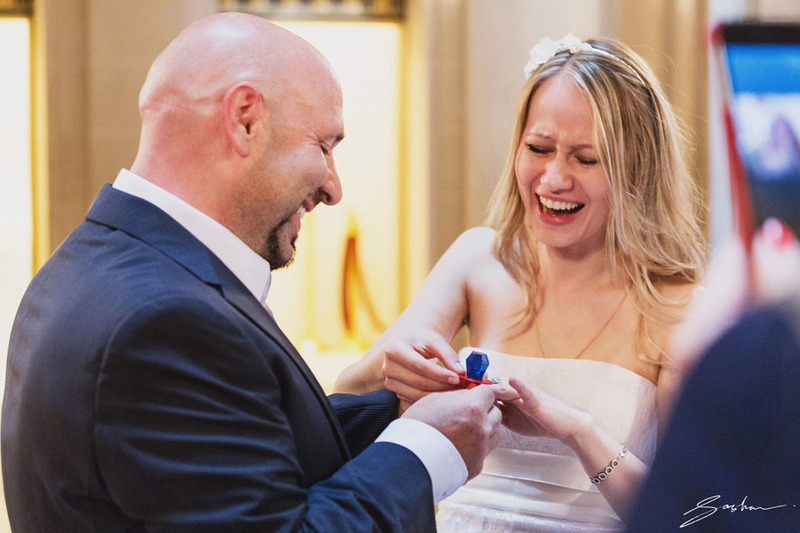 If you have a small group of people, you can pretty much do your ceremony in any public place. The beach, the park, the woods. Burning Man?!? (OK, arguably Burning Man is a pretty expensive affair nowadays. But if you consider it to be your honeymoon getaway also, then it actually makes sense). With a microwedding, you don’t need to deck out a reception venue with thousands of dollars of flowers, decor and favors. You can save the big bucks on entertainment. But food and ambiance are key. You’re spoiled for choice when it comes to picking a reception spot in SF. There are many restaurants that would be happy to cater to your wedding needs. Many have private rooms that can fit from 30-100 people. Restaurants are a very individual choice, but here are some of my personal favorites from over the years. Walzwerk – delicious German cuisine and an intimate private room in back. Mission/Duboce area. Absinthe – always a classic choice, and literally a 5-minute walk from City Hall. Hayes Valley. Cliff House – gorgeous airy dining at the edge of the world. 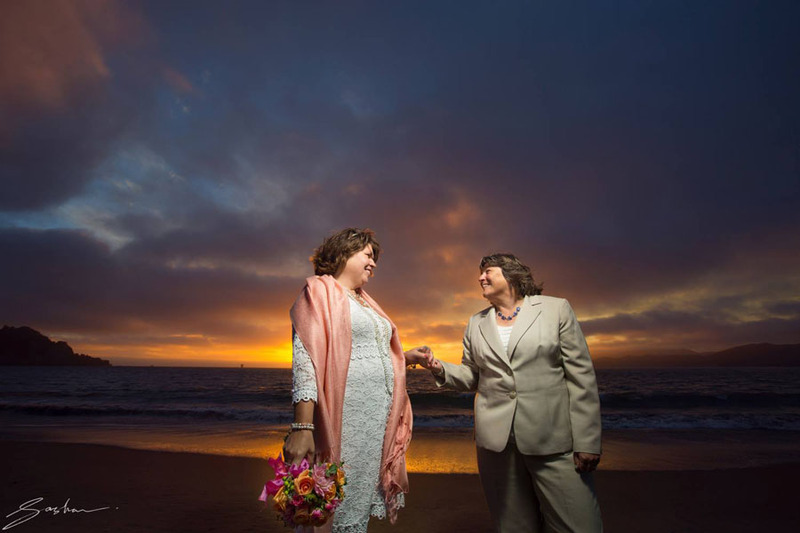 Check out a real wedding at City Hall & Cliff House. Wayfair Tavern – a more upscale option that can accommodate a larger party. Financial District. 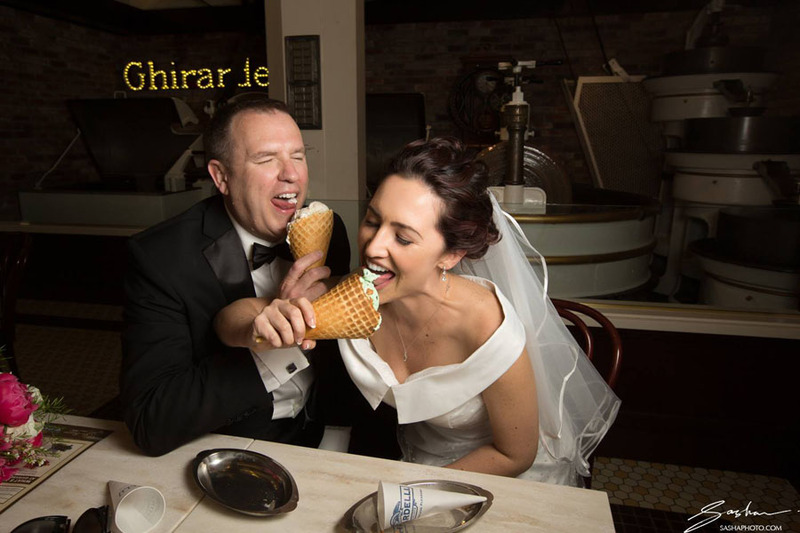 One of my most memorable microwedding stops was when the couple went to get ice cream at Ghirardelli. So you don’t have to get fancy. Just make it meaningful. 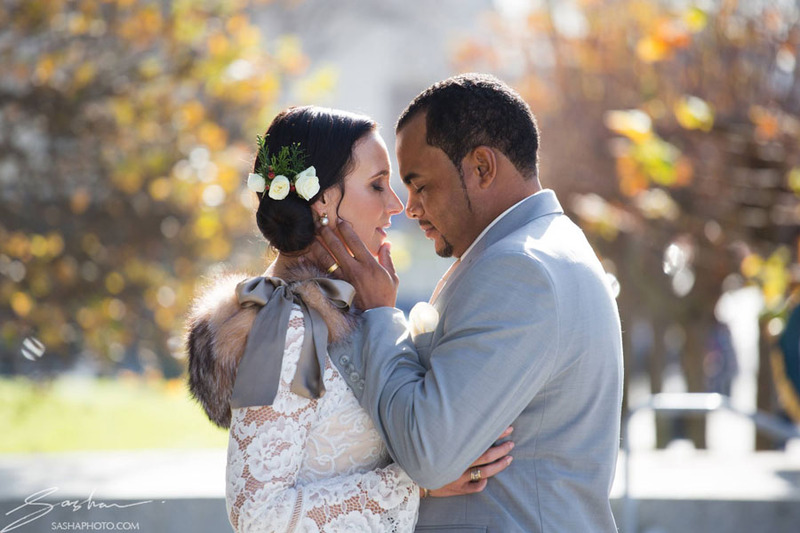 Check out some of my favorite microweddings. You’ll see that if you’re smart about it, you don’t need to spend a ton of money to put together an elegant and memorable affair.